I know Apple often waits up to a year to put product or subscription offers together, but I expected Apple to at least mention this important acquisition. It is potentially a big one that could shape the future of the News app. Apple did spend some time talking about News, especially the fact that there is a new native app for the Mac and that News content has been added to the Stocks app. However, that and some small new features were about it. It looks like we will be waiting until next year for a subscription service for magazine content, though. Not only were there no new hardware releases, or pre-announcements of coming hardware, there was barely any mention of anything relating to hardware at all. Even though WWDC is a developer event, because of Apple’s continuous focus on their own hardware, it seemed strange that they consciously avoided the topic. Even the missing in action AirPower was nowhere to be found..
We will definitely get an iPhone release in three to four months, and will likely get new iPad Pros and a new Watch on either side of that, so there is still plenty of Apple hardware news to come. Who knows, maybe there will a new MacBook or MacBook Pro with an updated keyboard in 2018. I did wonder going in if Apple would take the high profile opportunity to address all of the issues people are having with their butterfly-style keyboards, but it was not to be. Knowing that there would be a big focus on software and services going into this event, I am surprised that Apple didn’t announce any changes to iCloud or iCloud.com. No boosted free storage. No deals. No price reductions. No feature enhancements to iWork or iWork in the Cloud. Radio silence. I personally think this was a missed opportunity. Apple’s cloud-based software needs to be updated, and they just don’t seem to be interested in bothering with it. I really don’t expect Apple to ever open up Watchface editing on the Apple Watch, but it is probably the number one request from tech bloggers and Apple fans, alike. It was on a lot of people’s lists for this year, along with a native Podcast app. 1 out of 2 ain’t bad, I guess. The HomePod runs a version of iOS, and it shipped missing several features that the competition has down pat. It is also missing some basic functionality that Siri is capable of handling on an iPhone or iPad. Despite this, there was barely any mention of the HomePod, at all. It makes me wonder if we won’t see any new features added to the device until the HomePod 2.0, which seems off. If you recall, the Apple Watch got 2 OS revisions, one of them a major overhaul, in the span of a year. I thought Apple would take the same aggressive improvement approach with the HomePod, but that does not appear to be the case at this point. 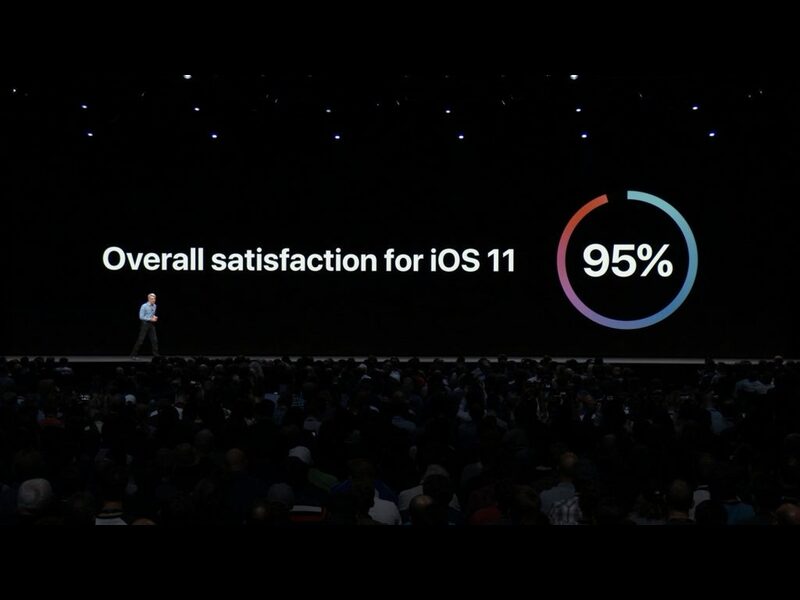 That’s about it for WWDC 2018. There were a few items that came out of the State of the Union and the developer sessions that I will cover in a future article, but other than those little details, it’s time to move on and focus on iOS 12 and watchOS 5. I usually wait for Beta 2 before I upgrade my personal hardware, but that should only be a week from tomorrow. Between now and then, there are several new items and features to talk about. Until then, if you have any questions about any of Apple’s new upgrades or features, feel free to ask.